Imagine a prom theme that suggests a night of romance! Your prom can be that special dance that honors students who have succeeded in their Junior and Senior years. 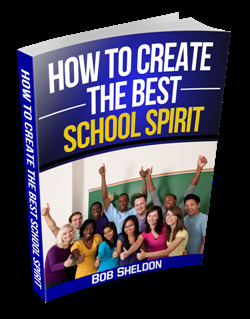 It deserves special recognition as one of the most memorable high school events of the year. A Prom theme can create a Parisian night which is special in itself, but even more complete with a small version of the Eiffel Tower. It's also a great theme to use because many students in high school dream of traveling the world some day. 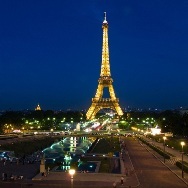 An evening in Paris is the perfect theme to entice dreams and aspirations for students on the threshold of adulthood. Planning a trip to Paris for prom night requires plenty of advance preparation. The magical Paris theme only improves through the hard work of your prom committee. This committee usually includes a faculty representative to help guide volunteer students. They review options, consider cost implications and the amount of setup time required. Once the votes are final and "Paris" is chosen... it's time to get down to the details of creating your Paris enchantment. Create a Paris Night to remember! With over 100 theme kits and thousands of unique decorations, your event can look spectacular. Transform your room into a night in Paris, a city paradise, a star studded event and so much more! Use My PromView technology to view each Theme Kit ahead of time. Utilizing the Paris theme might require a little extra creativity. Creating just the right atmosphere suggests a little more preplanning too. Whether you're actually traveling to Paris or just planning a Paris theme, attention to detail is important. There are many Paris related decorations that can turn your bare gym or hotel ballroom into a fabulous Paris night. Paris is called the City of Lights, and the Paris theme recreates that beauty. The job is made simple by shopping online for decorating kits that promote the Paris theme. The Paris theme creates a beautiful evening that will provide lasting memories. Afterall... Paris is called the City of love. You can create a romantic setting with café tables and a rose garden, transporting prom attendees to Paris streets for leisurely strolling and carefree dancing. Choose the right music to enhance the theme and the night is set for perfect elegance. The Paris prom theme is the perfect choice for a romantic and elegant prom dance. Visiting Paris is the dream of many and your Prom Theme gives them a head start on that dream trip. Leave Paris Prom Theme and Get Your School Theme!